Web page delivery performance is so key to the user experience that Google even uses it as a factor in their search results. Tools exist to create a timeline visualization of requests made by the browser when loading a web page, but they don't show you when the first chunk arrived, and how much of the data is in it. Chunk Scatter was built to fill the void. 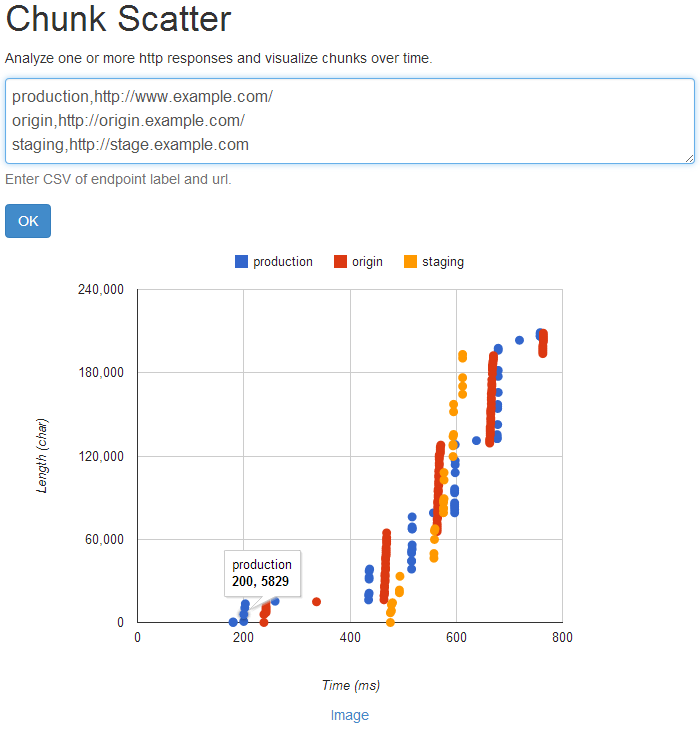 Why is chunk delivery analysis a worthwhile endeavor? By understanding exactly when and what your server is transmitting, you can optimize server flushing for improved performance. You can give ChunkScatter a try right here. Who knows, it may help you squeeze more speed out of your web site.